On July 26, the U.S. Securities and Exchange Commission (SEC) scrapped the application for a Bitcoin exchange-traded fund (ETF) run by brothers Tyler and Cameron Winklevoss. While the market took the news negatively and the price of BTC crumbled — though it jumped back to the green within 24 hours — the ETF case is far from being closed: As soon as September, the SEC will face another wave of similar proposals from a number of actors. What’s an ETF (and a Bitcoin ETF)? Cointelegraph has previously covered the nature of ETFs in a separate article. In short, an ETF is a kind of investment fund that is tied to the price of an underlying asset — a commodity, an index, bonds, or a basket of assets — like an index fund and is traded on exchanges, available to both retail and institutional investors. A Bitcoin ETF, in turn, tracks Bitcoin (BTC) as the underlying asset. It is an indirect way of purchasing BTC, where the investor only holds the corresponding security without having to store the actual coins. One of the key aspects of a Bitcoin ETF is that, if listed on a regulated U.S. exchange, it could pave the way for large mainstream investors, potentially pushing Bitcoin toward mass adoption and broader recognition on Wall Street. The Winklevoss twins’ self-titled fund, the Winklevoss Bitcoin Trust, was submitted to the SEC to be listed on Bats BZX Exchange (BZX) as COIN, an ETF “that can track the price of Bitcoin because its only asset will be Bitcoin,” as per its website. Shares of COIN would represent fractional ownership of the fund’s total Bitcoin holdings. The Winklevoss twins have been nurturing the idea of a Bitcoin ETF for quite a while now — they first tried registering their fund with the SEC back in 2013. It took the watchdog four years to come up with a decision: In March 2017, the agency denied the application based on concerns “that significant markets for Bitcoin are unregulated.” The Winklevoss side then hastily filed a petition asking for a Commission Review of the disapproval, which the SEC eventually granted — technically, the agency’s recent decision is a response to that petition. However, it doesn’t necessarily mean that the SEC will continue exercising a hardline approach in the future — after all, the Thursday decision wasn’t unanimous, as the rejection came in after a 3-1 vote. 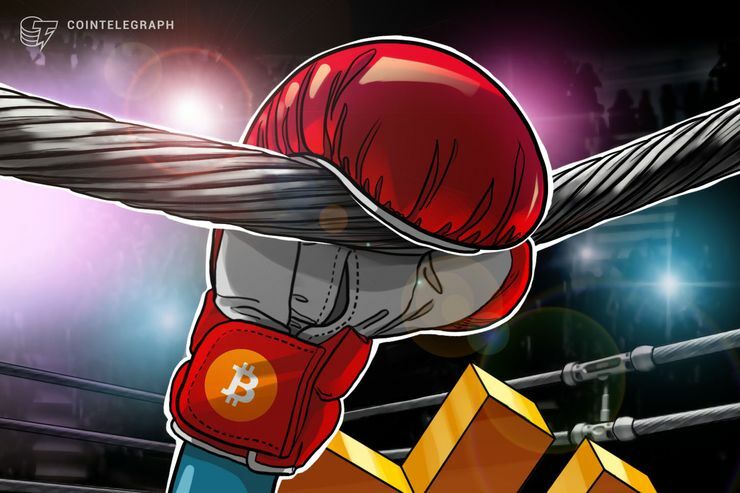 The SEC’s decision promoted a bearish trend on the market, as the price of BTC fell by as much as 3.6 percent to approximately $7,850 soon after the news emerged, although it was quick to bounce back to the green to trade around the familiar $8200 at press time. The Winklevoss brothers are not the only ones trying to pioneer crypto-based ETFs in the U.S. In January 2018, there were at least 14 “different Bitcoin ETFs or related products” pending with the SEC, according to Reuters data. However, they were all soon withdrawn at the request of the SEC, citing the agency’s concerns regarding “liquidity and valuation.” Nevertheless, those were not necessarily the exact same product. For instance, while the Winklevoss Fund hoped to entail direct investments in Bitcoin, a number of other funds focused on Bitcoin futures contracts. Given the fact that they have been listed on major regulated U.S. exchanges like Cboe Global Markets and CME (prompting the price of BTC to soar when launched in December 2017), they seem to constitute a more stable base for ETFs than the virtual currency spot market per se, which is yet to get a definite greenlight from U.S. regulators.